As part of our online design & print solutions division, spearheaded by facemediagroup.co.uk (UK’s leading online business print solution). DesignFace.co.uk compliments the divisions activities by being a fundemental source for printers, designers and creatives. Pantone products are a must for any serious player in the game of printed media, so it made perfect sense to add this string to our bow. facemediagroup.co.uk was established in 1996. For over fifteen years facemediagroup.co.uk has provided the UK with quality printing and design/marketing support. 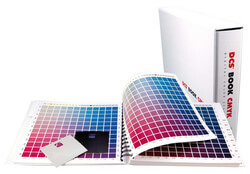 Since 2003 facemediagroup.co.uk has supplied a wide range of official PANTONE products, with the aim of promoting quality print, correct colour replication and measurable results. In early in 2007 we launched designface.co.uk to make it easier for customers to find exactly what they want. You will find a comprehensive stock of Pantone products throughout this store but if you can’t find what you need, then please get in touch. Which pantone product you need, may not be clear, if you are not sure, ask us and we’ll try to help you. For help, click the ‘feedback’ tab at the side of the window. We also run a twitter account (http://twitter.com/pantoneUK) and facebook page (http://facebook.com/pantoneUK) – any contact through either of these mediums will be dealt with, professionally, and if not nessecarily relevant to designface.co.uk will be forwarded to the appropriate persons.